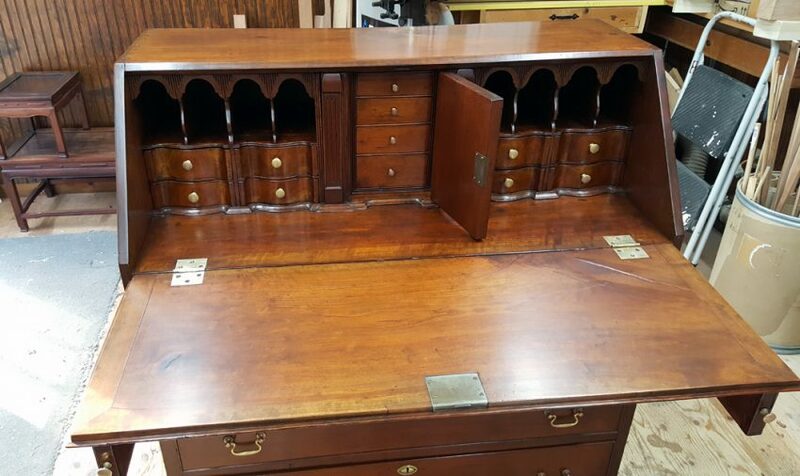 This antique slant top desk is made of solid cherry and has 18 drawers, a lid with 2 supports, and a small door. The finish was faded and worn, and both sides had shrinkage cracks. 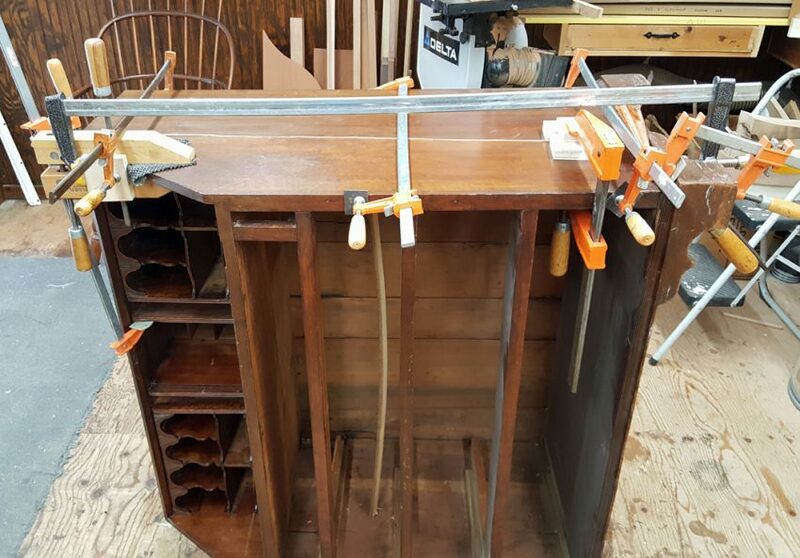 There were also misc repairs needed to the drawer runners, the pigeon holes, the bottom molding, the bracket feet, and the lid. 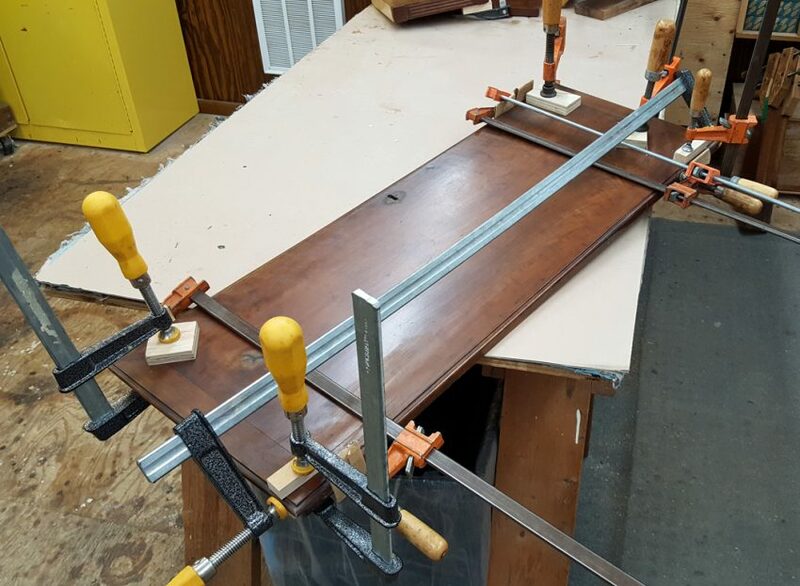 The lid was removed and repaired with glue and clamps. The open cracks on each side were fitted with wood shims, and clamps were used to pull everything tight until the glue dried. After all the repairs were completed, the existing finish was cleaned and scuffed. 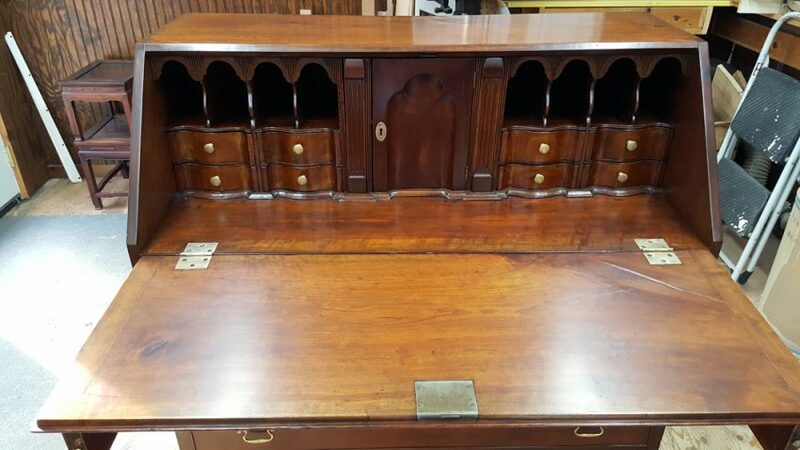 Then touched up, lightly stained, and reconditioned with coats of shellac that were rubbed and waxed. During the restoration, all the hardware was removed, lightly polished and re-installed. 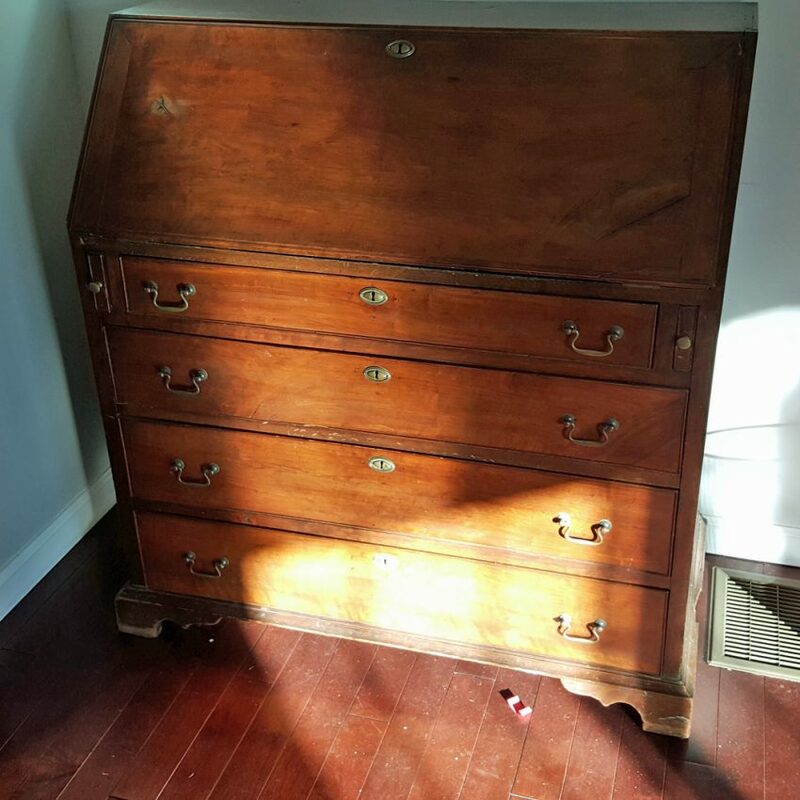 Here is the desk lid and small door open, showing 14 drawers (molded faces next to the door are tall drawers). 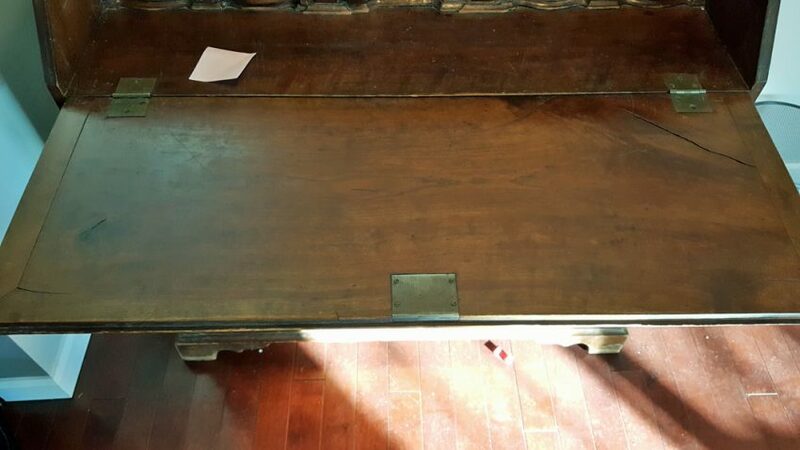 This slant top cherry desk (a.k.a. 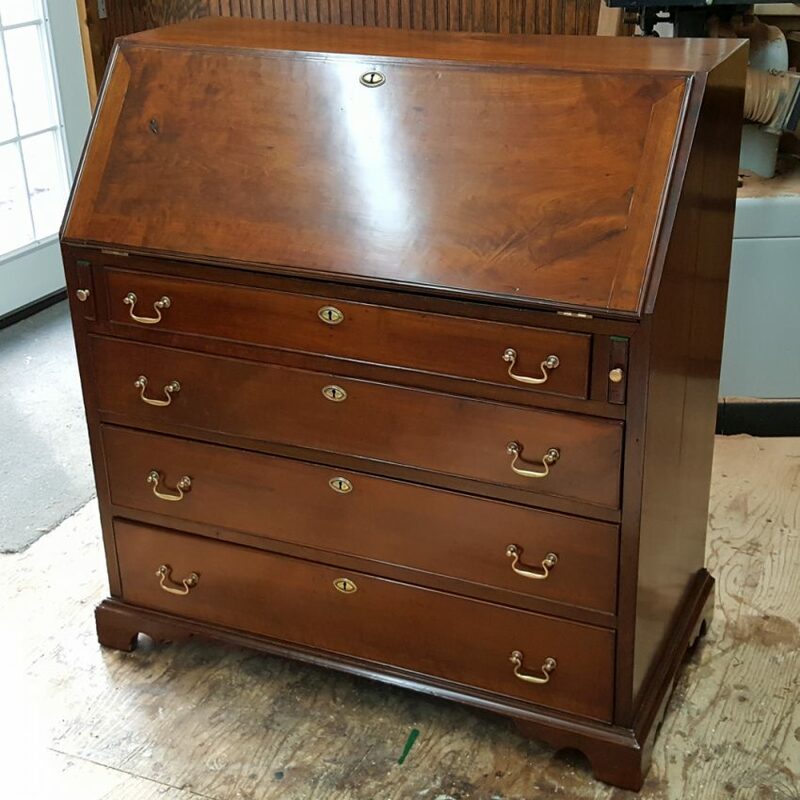 a secretary) was restored for a Sharon CT client.